R171 SLK-Class '04 non US or '05-'11 all models There are 9 products. Top Hydraulics' cylinder rebuild service is widely known as the best possible option, even if you are an excellent Do-It-Yourselfer. Note also our rebuild service for hydraulic valve blocks, distributors, and pumps, as well as manufacture new, superior hydraulic hoses. DIY cylinder rebuild will usually lead to unintended damage - we have seen thousands of ruined cylinders from failed DIY repair attempts! We have two order methods: Either you send in your cylinders first, or choose to "Order now with Core Exchange". 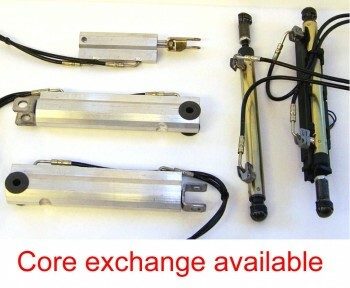 Core exchange currently available for the R171 SLK front lock cylinder, the full set cylinders, and the hydraulic pump unit. There is a $30 surcharge per cylinder for this service, PLUS a refundable deposit of $1000 for the full set. 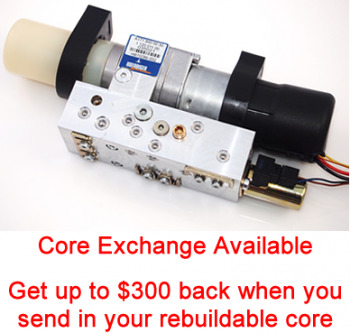 Core deposit will be refunded after we receive your old front lock cylinders back with lines attached and intact, as well the shaft not being scratched by tools. Either scratched shaft or damaged lines result in reduced core refund. 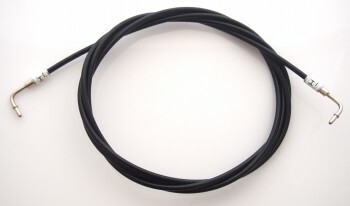 Top Hydraulics manufactures replacement shafts and replacement hoses, but there is significant cost involved. If you send your cylinders in for rebuild service, Top Hydraulics averages a 2-day turn around time. 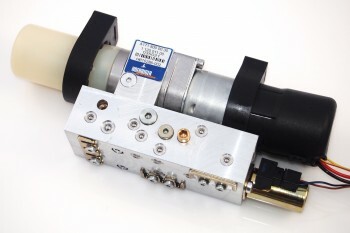 Front lock and main lift cylinders must be received with lines attached and intact. The lines on the trunk lid cylinders are detachable.